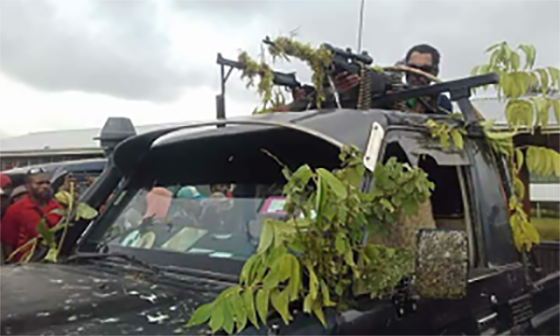 Deadly MAG 58 Model 60-20 machine guns mounted on a cabin-top truck in the Southern Highlands. 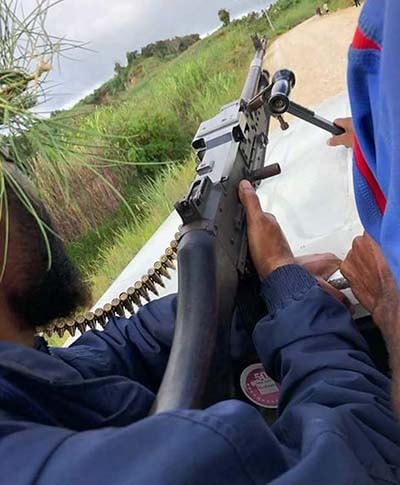 A former Papua New Guinea military commander has warned that he is “concerned, if not frightened” that the PNG Defence Force may be deploying police and soldiers in the troubled Southern Highlands province facing a deadly weapon. Ex-Brigadier-General Jerry Singirok , a former commander of the PNGDF who arrested mercenaries deployed by the Sir Julius Chan government for the Bougainville war in the so-called Sandline crisis in 1997, has made his views known in independent media. In an item published by PNG Attitude and EMTV journalist Scott Waide’s blog, Singirok described Prime Minister Peter O’Neill’s government response to last week’s Mendi riots as a “premature state of emergency” and a “cheap, reckless and knee-jerk option”. His comments have come at a time when the nation has been shocked by the display of high powered assault weapons by protesters since last week’s Mendi rioting. It is clear that the government’s guns amnesty last year did little to encourage people to surrender their weapons, reports Loop PNG. Defence Minister Solan Mirisim said that talks of weapons surrender or disposal would be part of discussions as leaders continued to discuss solutions to the Southern Highlands unrest. Jerry Singirok wrote about his fears of how police and soldiers may be pitted against the MAG 58 Model 60-20 machine gun which he described as one of the most robust, deadly and effective weapons of its type ever manufactured. The MAG 58 Model 60-20 machine gun … “robust, deadly and effective”. 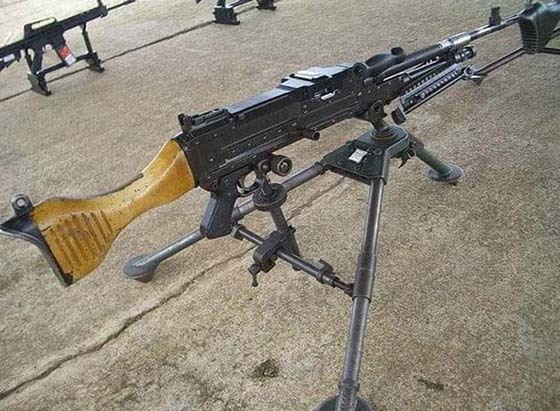 “It is an air cooled, piston and gas operated weapon manufactured in the US and Belgium that uses a 7.62mm NATO belt-fed round and can effectively engage targets from 200-800 meters and – in open country – up a kilometre. “In 1996, after trials, the PNG Defence Force under my command purchased them. “Then, a few years ago, some went missing. I have recently seen photographs of them on social media. “They have been installed on cabin-top trucks in the Southern Highlands province. “I am very concerned, if not frightened, that the PNG government is deploying police and soldiers to the Southern Highlands who are likely to come face to face with the MAG 58. “A premature state of emergency in the face of this combat power appears to be a cheap, reckless and a knee-jerk option by the government. “In 1989, the then PNG government reacted to a security situation on Bougainville similar to Mendi today which brought PNG to its knees for ten years. “A solid province was depleted of it minerals for that period and denied a generation of the blessings they would have brought. “This seems to be yet another irresponsible decision along a similar path. “How can the government sustain the PNGDF at a prolonged high level and intense military operation if it has not invested in air mobility and cannot buy the most basic uniforms, boots, field gear, ammunition, rations, fuel and so on. This article was first published on Café Pacific.